I was born in Adelaide in 1971. 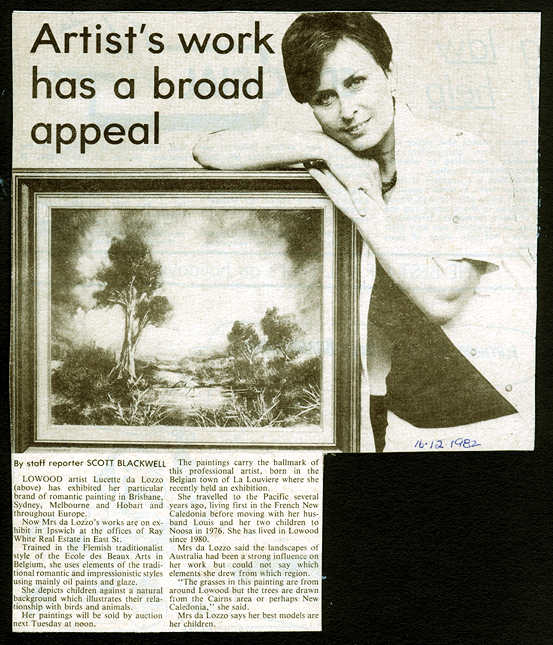 My childhood consisted of bohemian treks around Australia with my artistic parents and older brother; “The stark light and vivid colours of nature were my initial inspirations.” You could say I inherited my parent’s talent for fine art. Even after growing up painting in my mothers studio, I never saw painting as a real job and yet here I am making a living from my art for the last 20+ years. The secret is that it’s never been a job but more a fulltime passion. I left for Europe at 19 and attended the “Ecole Superieur D’Art Plastique et Visuel” in Mons, Belgium. The life experience and knowledge I learnt in the 4 years I attended were literally the best 4 years of my life. 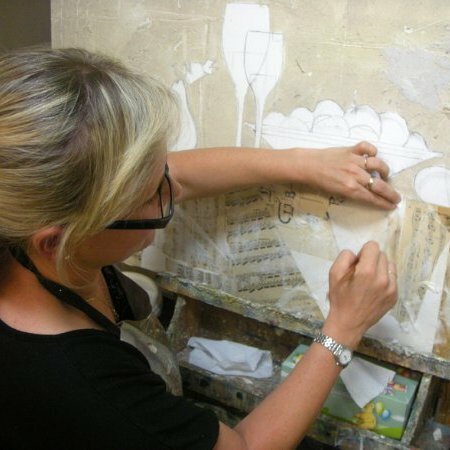 I picked up my first brush at age nine and began my career as a professional artist at just 20 years of age. I have always drawn inspiration from still life and I like to challenge myself as an artist to paint Abstracts, Nudes, Cityscapes, Landscapes and Animals. For the past 6 years my studio gallery has been located at Sanctuary Cove on the beautiful Gold Coast in Queensland. I regularly exhibit with selected galleries around Australia. “For me, still life is everywhere we look. It is the clock face of time and culture. From the fresques at Pompeii, to Bruegel’s interiors or Gaugin’s fruit. …. we understand it and recognise it. I take objects that are often overlooked, but we see everyday and bring them to life for all of us to admire. For me, still life is everywhere we look. It is the clock face of time and culture. From the fresques at Pompeii, to Bruegel’s interiors or Gaugin’s fruit. …. we understand it and recognise it. I take objects that are often overlooked, but we see everyday and bring them to life for all of us to admire. And if my paintings evoke in the viewer a sense of tranquillity and balance, then I’m satisfied and ready to start again….